Paddington is so well known by name, but not always as accurately depicted as the wonderful community it is to be a part of. Paddington rentals don’t come cheap, but then they are not completely higher rent districts such as nearby Maide Vale or parts of Kensington. So many around the world who know little of London, all seem to know about the famous Paddington Station and of course Paddington Bear, who was named after said station. Of course, Agatha Christy made her contributions to immortalizing the name as well. But that is all the fanfare of those who aren’t lucky enough to be in the area itself. Living in and around Paddington is most dominated by the upper professional class who are looking for safe, stable, and sophisticated selections of entertainment. The number of theaters in the area is a good representation to what many don’t know about Paddington. There, of course, is the movie plex of late in the Oden theatre, but there are alternatives at a much smaller, and friendlier pace. The two screen cinema and cocktail bar at Everyman Baker Street come to mind. As does the Gate Art Cinema that features tables between the seats, and there’s the completely updated 1910 Electric Cinema that features cocktails with your show. For theatre of live actors, there are a few choices; Canal Café Theatre is a small venue with different attractions and acts, comedy being one of their offerings, and Studio Theater also not far. For Paddington rentals you really can’t go wrong, there are period inspired buildings that are easy to fall for, and the revitalizing of the canals area’s have put forth a flourish of new choices for high-rise living. If you are looking for that chic glass reflective and water view dominated piece of sophistication, Paddington rentals are for you. Due to the close proximity of Heathrow, Paddington rentals are often rented to visiting business professionals who stay for only a few months at a time or those who commute to the outer areas of the City on the weekends. Paddington is surrounded by other highly sought after rental and residential markets as well. Just east is Marylebone, on the opposite west side is Notting Hill, and it is near to Lancaster Gate and Bayswater as well. All these areas are prime rental areas for professionals and commuters who need to be near the business district. Certainly, without a doubt, Paddington is a tad more reasonable in the rentals price range before moving up to one of the aforementioned areas. Want to know more about Paddington Rentals? 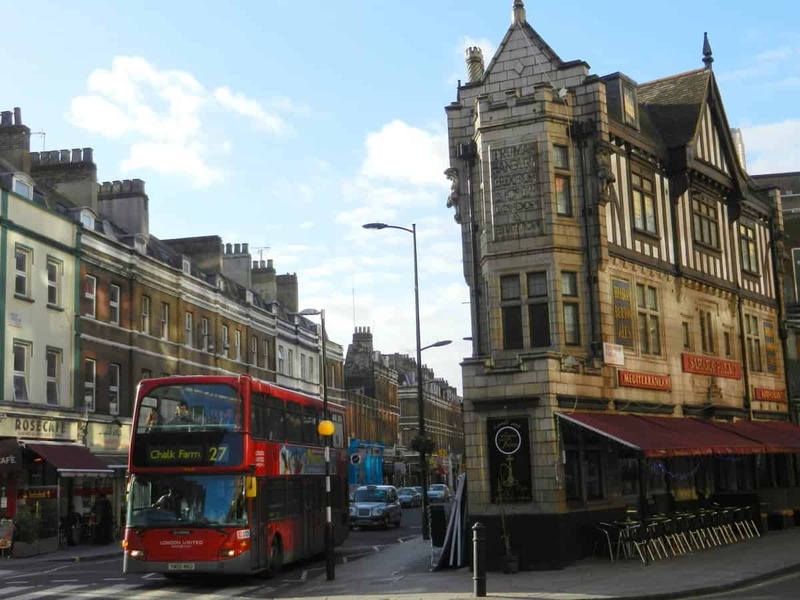 For shopping in the Paddington area, if you are looking for the modern day mall you’ll want to go to the neighboring Lancaster Gate and take an afternoon to explore Marketgate Shopping Centere. But for local stores and shop owners Paddington High Street has plenty to offer. Also having some shops, but plenty of restaurants is the Paddington Central area. Sandwiched between two squares, the Green Space of Sheldon Square, a great place for summer concerts, and the Grand Union Canal frontage, there are giants of industry such as Microsoft, Kingfisher, and Accor. These businesses bring with the local shops, cafes, and restaurants needed to feed a lunch time crowd, or after work watering hole. Walking distance to the Marble Arch you can’t miss wandering in this few block area. While we are on the subject of outdoor offerings one really shouldn’t miss the Tuesday and Thursday afternoons in Merchant Square. Worth a look while you’re there is the world’s first water maze, just try and make it through without getting wet, it’s the perfect exercise to work off the street food. For a number of offerings in one location there are two streets to hit; Kendal Street, and Connaught Street. One might also take in Praed Street if you’re on a budget. But if budget is no option, definitely hit the best French restaurant in the area of Angelus on Bathrust Street. Our favorite French restaurant is flanked by two great Italian places. Bizzaro is great for the pizza enthused and Bel Canto is the Hotel restaurant with live opera singing. Also, a bit on the upscale side is Donostia Basque Restaurant with its high-end tapas and minimalist décor. For more English fare try going north to The Potting Shed, right near the Landmark London hotel. If it’s a pub scene you crave you have a number of choices. You can go traditional with the 18th-century coaching inn at The Swan. A right English offering in a two-story location is the Duke of Kendal pub. Further, north you can head up Edgeware Road and turn into the Victorian Lord Wargrave. Just north of that nearer to Westway is The Chapel, gastropub with a heated walled in garden. Moving back towards St. Mary’s Hospital there is the Taylor Walker Fountains Abbey with its gorgeous leaded glass windows. Just south nearer to the Paddington Station you can circle the station and hit six or seven different places. The Pride of Paddington, the Sussex Arms, Dickens Bar, Sawyers Arms, or the Mad Bishop & Bear pub. Well you won’t find a better area than Paddington in which to catch transport all around the city. The Paddington Underground station offers a number of lines of transport. You can catch The Bakerloo, District, Circle or Hammersmith & City lines from Paddington Station. Paddington Rail station has equally as many lines of the National Rail Service. There’s Chiltern Railways, The GWR, Heathrow Connect, and the Heathrow Express. But look for the area to improve with the onset of the Crossrail on the way in 2018 which will make West End commuting even easier.